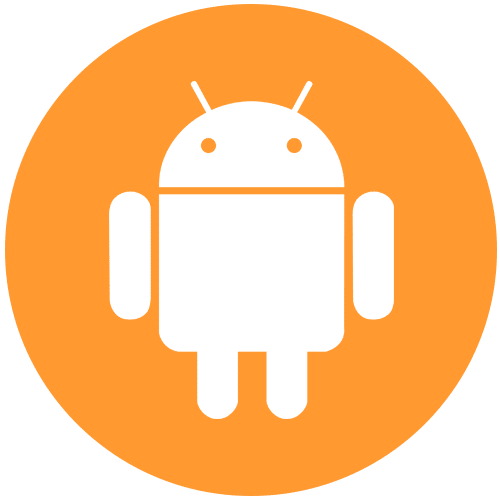 To take your business to new heights, not only do you need an android app, you need an android app that exudes perfection in its look and performance. At Metclouds, this is what we help clients with. We are one of the leading Android application development companies, having written countless success stories since inception. Our end-to-end solutions are completely custom, shaped around your ideas, needs and business goals. Interactive and visually-appealing games of different types (racing, puzzle, POV and more) that supplement your business—or are a business in itself! Shopping on phone doesn’t have to be lagging and inconvenient. Get powerful e-commerce android app that’s smooth, feature-filled and user-centric. Amp up the output of your business with high utility apps that provide higher efficiency and easy integration of various departments. Ideal for everyone from insurance providers to banks, the powerful finance-related apps crunch numbers, rich features, and marvel with complete swiftness. Gone are the days when e-learning was a pain. Get advanced android education app that provides higher return and unmatched learning experience. An entertainment-based app, of any kind, that glues users to their phone with cool features and engaging activities – entirely refining leisure time. Advanced social app with beautiful interface and powerful features that connects people, foster engagement and make online communication an awful lot of fun. Get exactly what you want. Enjoy a custom Android app that’s crafted around your distinct needs, requirements and business goals. Fix the loopholes, enhance its performance and make it more awesome – improve your existing business app with our upgrade and maintenance solution. We are a one-stop destination for all your Android app need. Over the course, we have worked with hundreds of clients of diverse industries, which have helped us find matchless proficiency. We made all kinds of custom Android apps, right from gaming, utility and travel to e-commerce, finance, and social networking. At Metclouds, we focus on the quality above anything and everything else. On the back of qualified and experienced team of android developers who loves challenges, we make amazing android apps that assure clients of 100 percent satisfaction. In our commitment to offer you only the best, we employ the best infrastructure, cutting-edge tools and tech-advanced practices. We are always ahead on the scene, in sync with the latest trends – so you’re ahead of your competitors all the time. We focus not just on the products but also on customers’ experience. The team here not only strives to provide high-quality, high-performance Android app but also on offering an enriching experience.